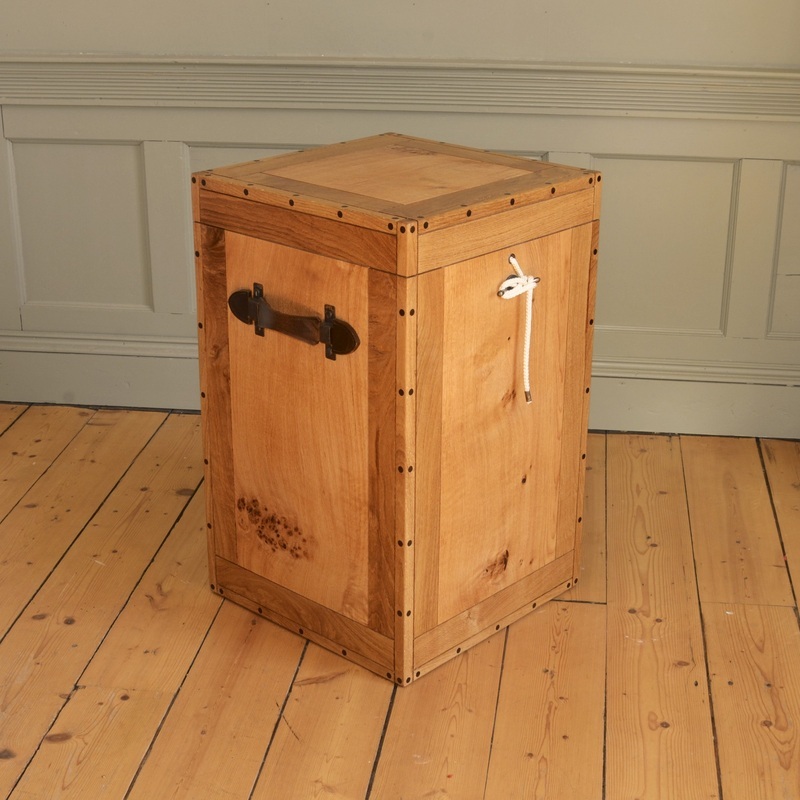 The third trunk of the series was built to serve as a plinth for a Ju Ming bronze and so took the form of an upright trunk or secretaire to give a better viewing height and to complement the dimensions of the sculpture. 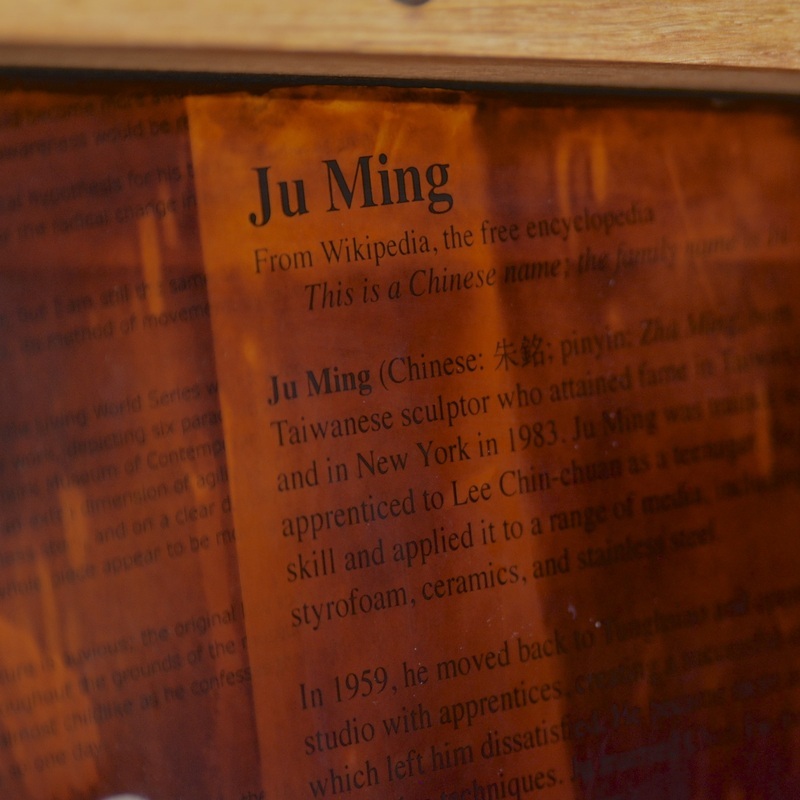 Information on the artist and his work was layered onto an inner door and then french polished to a deep lustre, leaving the articles partially hidden at differing depths and colour of shellac. 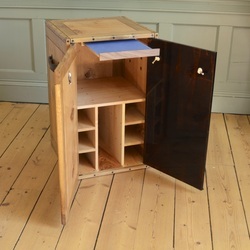 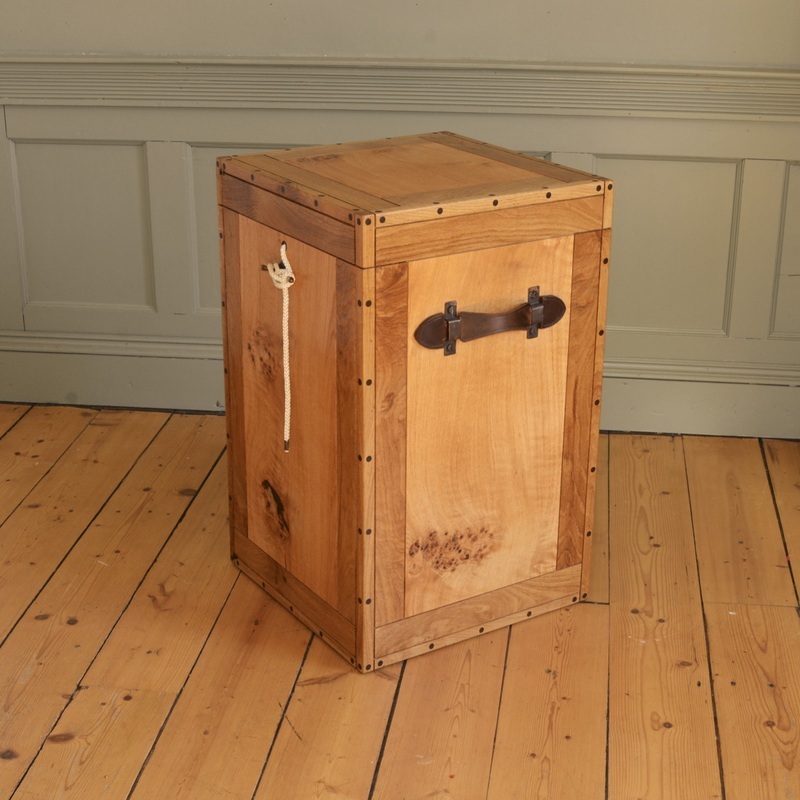 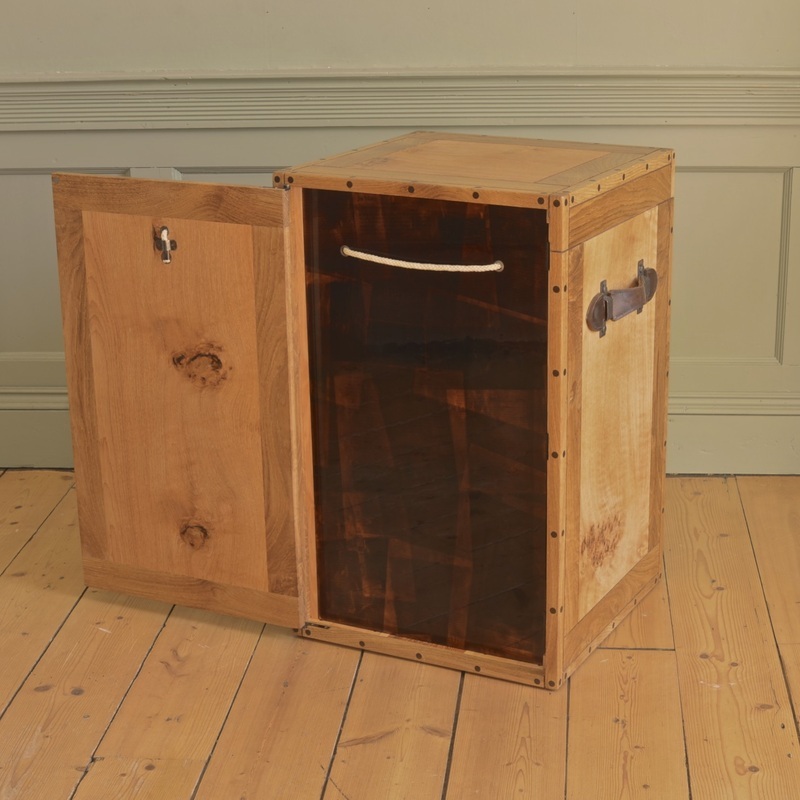 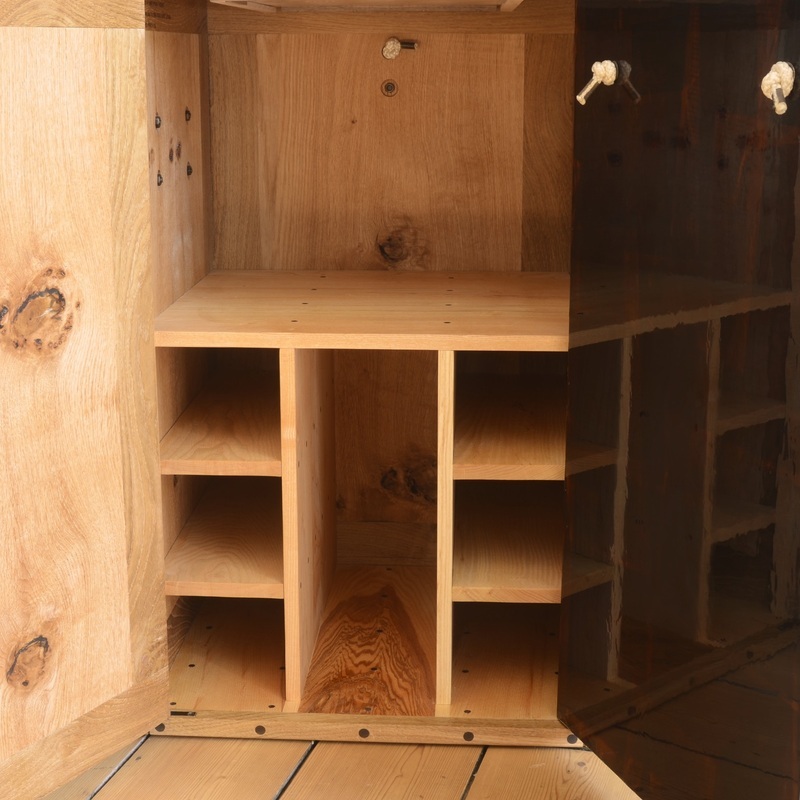 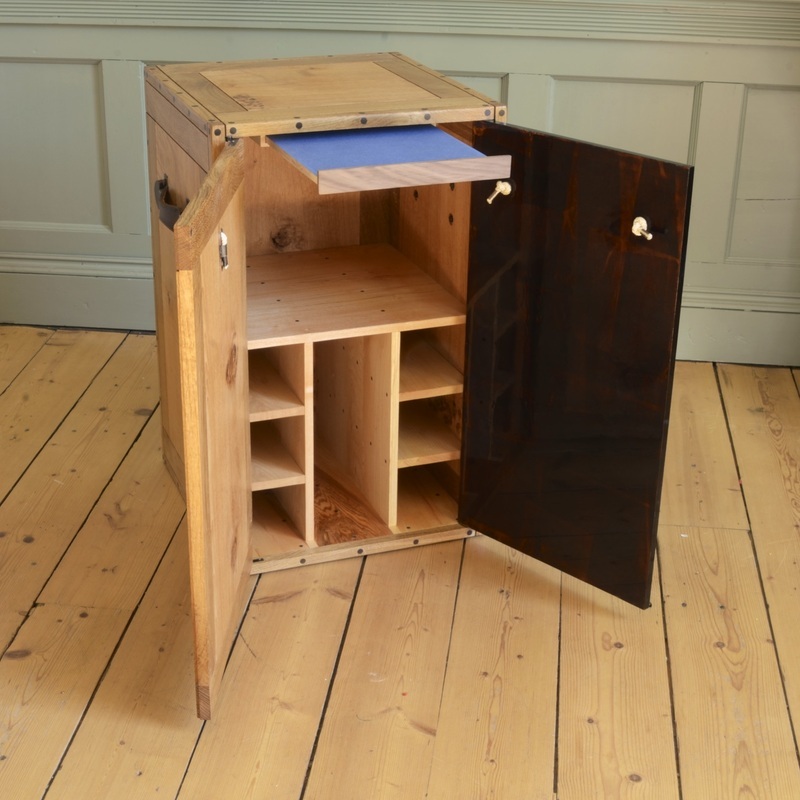 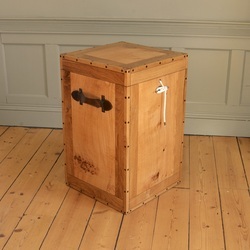 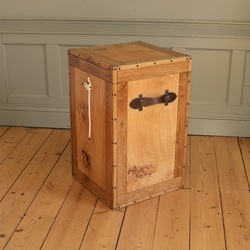 With both doors open, a simple ash wine rack is revealed with a tray for retaining documents relating to the sculpture and of course there is a secret compartment hidden somewhere within the trunk.